You only have to glance through any sports newspaper to see that Dodgeball has become the most important sport in the world … well, at least in the newspapers that we read… we place ourselves in the present, in Japan, where three bad students from a secondary school set up a Dogdeball team, in the hope of achieving the popularity that has so escaped them. They will begin by facing teams from other schools in the neighborhood (Initiation Tournament). 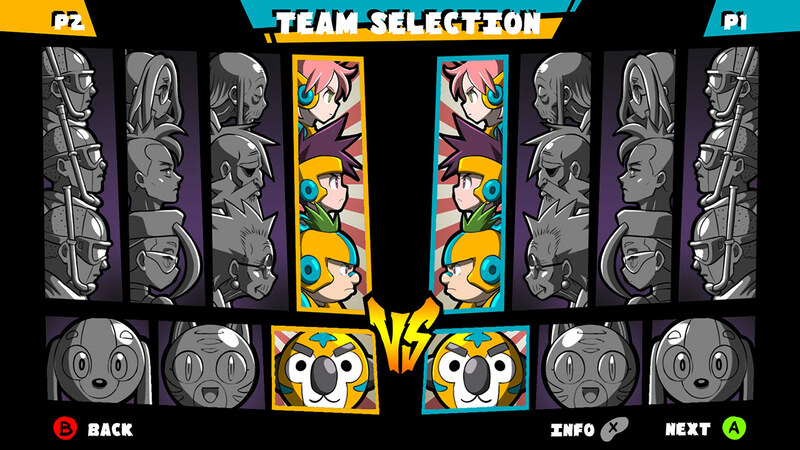 This tournament will be very short, in which the player faces two teams, in an elimination round. They will go to a final which they will lose (we fix it so that it is so), but the team against which they lose will be disqualified, so they give us a place in the National Major League. Here we play, in a league format (although in a single game, there is no return match), against a total of 10 teams. 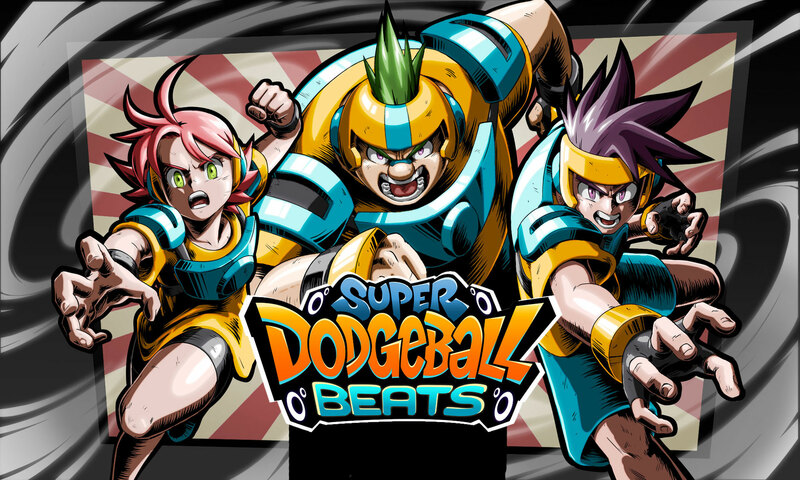 Actually, we could say that Dodgeball is an excuse for throwing some fun matches into a musical game that, as we have seen, has a deeper layer than most titles on the market. 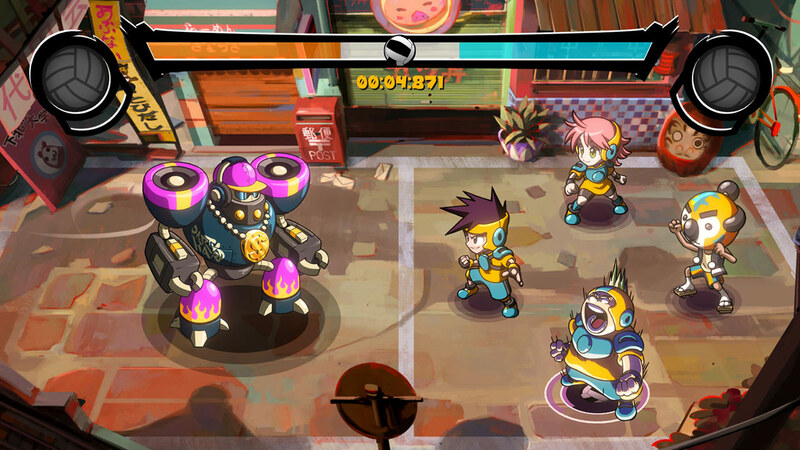 Our game mechanics have to do with the speed and accuracy when marking the beats (in the form of signals that we send you on the screen) with the buttons on your controller. When you get one of these signals, you have to press the correct button. You are able to hit it, miss it or make a “perfect”. These possible outcomes give greater or fewer points, or directly subtract them. That score is reflected in a bar that tells us in which direction the ball will go. If, when the game is over, the ball is in your field, you have won. The beats are marked to the rhythm of the music that we play, and the matches have the duration of the theme song. But it doesn’t stop here. 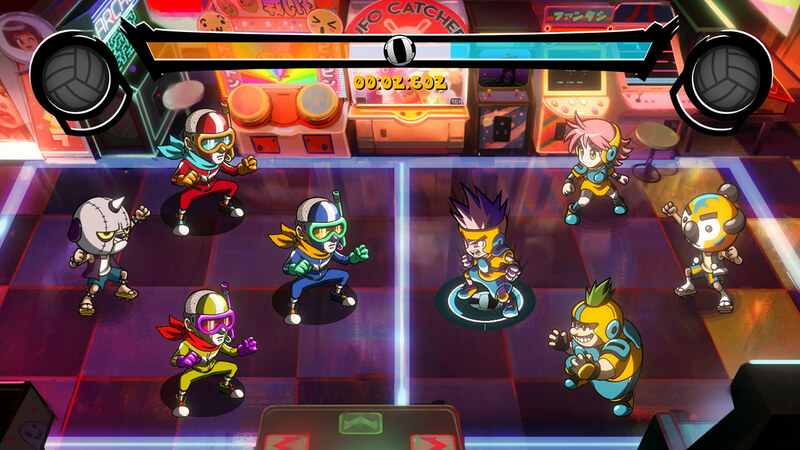 To the already required skill to hit with the beats, the player also has to manage the power-ups that he is getting, as well as to deal with those that the opponent has sent him to make his game more difficult. And who gives us those power-ups that are going to be so important in the development of the games? Well, the supporters that we will choose to buoy us up on our way to victory. We have a series of common power-ups for both players but, in addition, we have exclusive power-ups for each of the supporters, which contribute different things. It is part of the player’s strategy to choose what kind of fans he prefers when facing each game. Ultimately, just like the most exciting sports stars in history, we owe it all to our fans. So, what we have is: a great variety of music, the addictive mechanics of playing to hit the right beats, fun characters that make up the teams, power-ups to manage, choosing the profile of the fans you want to support you in each game and the excitement of sports games where day after day you have to try to climb to the heights of the league table. But, also, depending on the number of “perfects” you have achieved, you will get a certain number of stars which, for sure, will make you want to play SDB again and again. Music: For SDB we have had the collaboration of a professional musician who has composed each of the pieces, so that we have high quality material, as well as it being our own and totally exclusive. You will see how difficult it is for you to stop humming these tunes!!! Here you have a sample of what will you find in the game!! Multiplayer: This type of fun match will be launched outside of “manager” mode. They are isolated confrontations to challenge someone who is in the same room as you at that moment. No more resolving your differences with your brother-in-law by playing arm wrestling games that, in addition, he always wins. Now you can do it with SDB. Progression: We have a total of 11 teams. Each one of the 10 rival teams will challenge you with different music. Some songs are more difficult than others and, in addition, each one will have various levels of difficulty of playing it, in such a way that the beats that you are asked to hit will be different, both in number and in position within the song. The enemy teams are composed of different numbers of members, from a minimum of 1 to a maximum of 4. 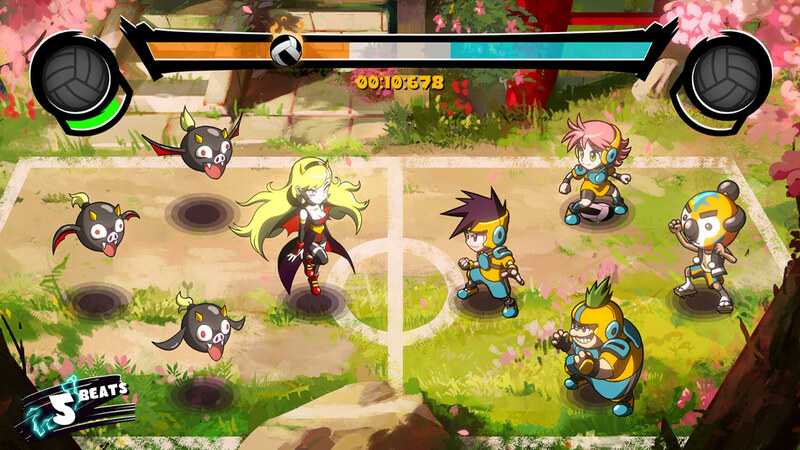 Each team has its own story to tell, and the player will be able to learn about the origin of their rivals. Well, with all this, the player will have to go from the lowest of the divisions of Dodgeball up to the premier world league to try to win the championship. 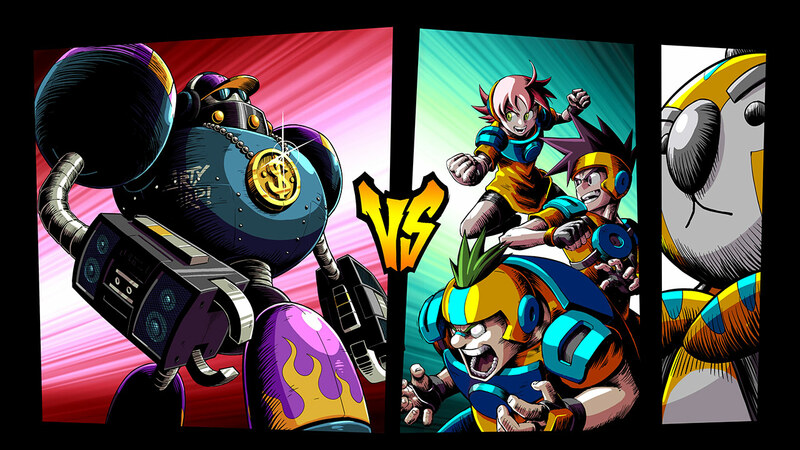 Rivals: The composition of the teams is very diverse and surreal; from teams composed of old rockers, to teams formed of Japanese food, experts in martial arts, robots, or Godzilla herself. 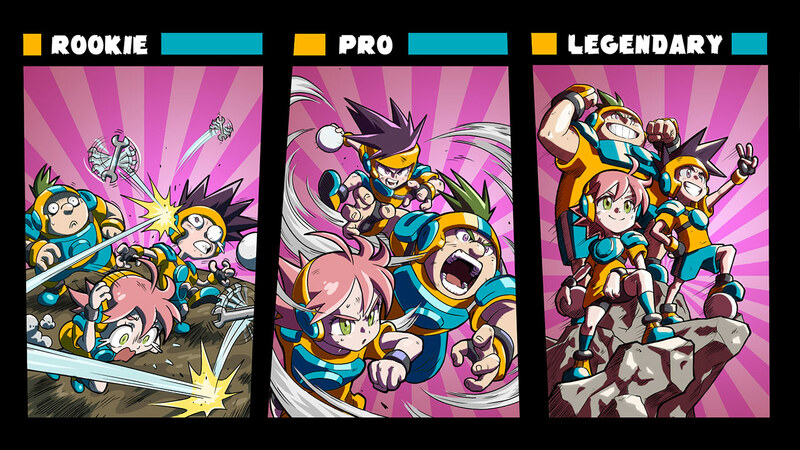 We are sure that the player will enjoy competing against this amalgam of fun and outlandish characters. Scenarios: We wouldn’t want to omit to mention that each of the rival teams receives ours in a totally different scenario. There will be video arcade settings, markets, dojos or gardens … any place is good for measuring your strength against your rival in this amazing competition. And what I say is: Dodgeball is that sporting discipline you were looking for to be able to practice in any corner of the Earth.